Munson Healthcare will partner with 20Fathoms, Northern Michigan’s technology hub and startup incubator, as a means to support innovation in the Traverse City area. Munson Healthcare President and CEO Ed Ness says the partnership will explore potential entrepreneurial opportunities in the health care sector. Plans call for Munson Healthcare and 20Fathoms incubator members to collaborate on potential opportunities for the development of products and concepts. Through 20Fathoms, Munson Healthcare representatives will have access to relevant educational programming and a robust network of entrepreneurs, mentors, and investors, including many in health care technology. The partnership is part of the health system’s desire to foster innovation and economic development in the region, support innovators within the health system, and partner with innovative health care developers across the country. 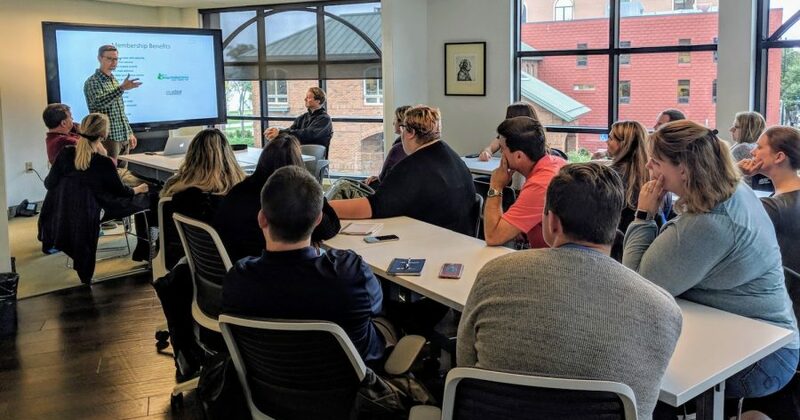 20Fathoms, the tech hub and startup incubator that opened this summer in downtown Traverse City, currently supports more than 40 members innovating in areas such as virtual reality, space communications, blockchain and cryptocurrency, food-tech, fin-tech, tracking devices, supply chain technology, and more. Among others, the incubator has received support from Casey Cowell, for whom the Cowell Family Cancer Center at Munson Medical Center is named. 20Fathoms Executive Director Andy Cole says the relationship with Munson Healthcare aligns with 20Fathoms’ vision to bring advanced educational opportunities and talent to Northern Michigan. More details are slated to be in place by the end of the year.